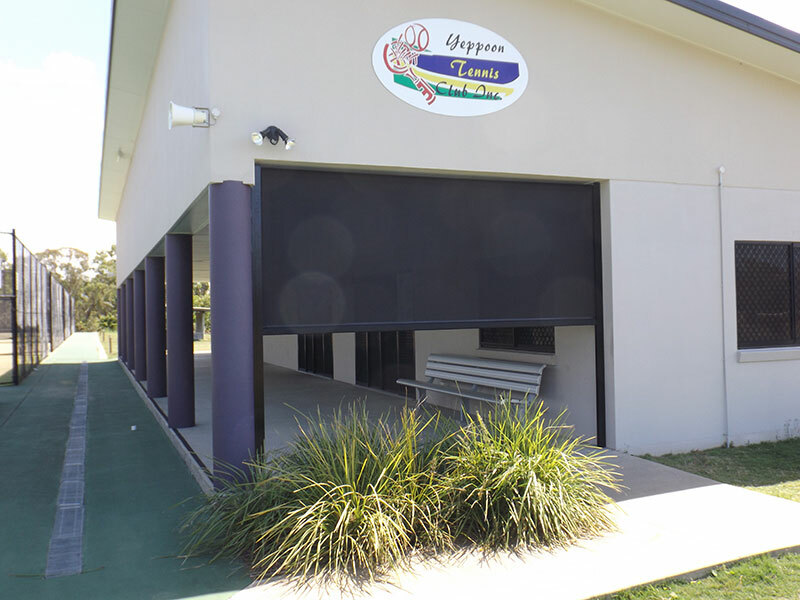 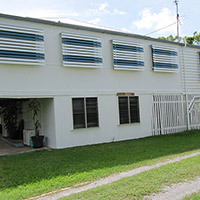 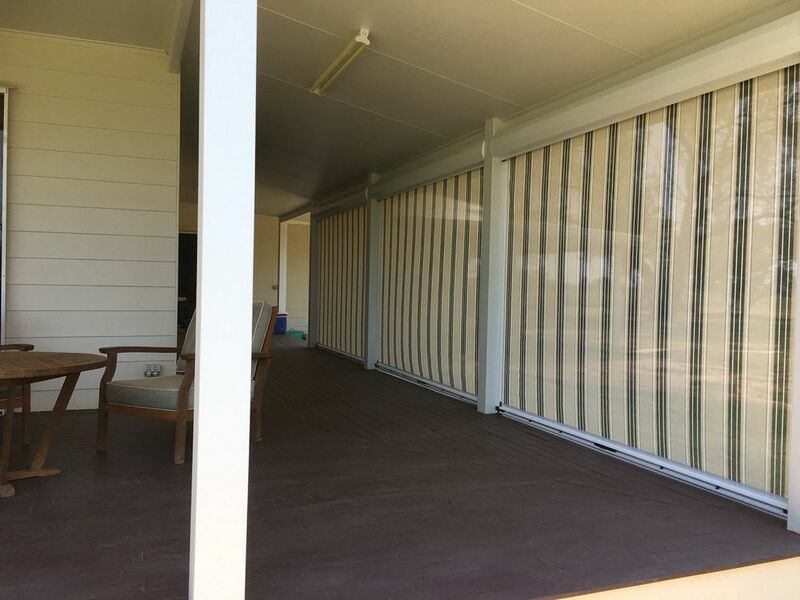 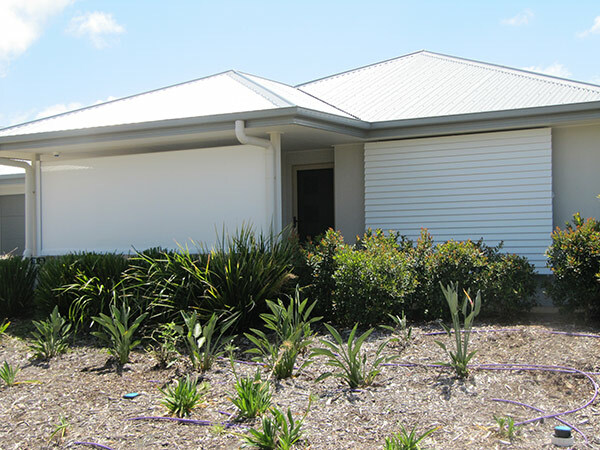 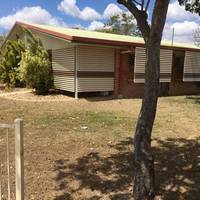 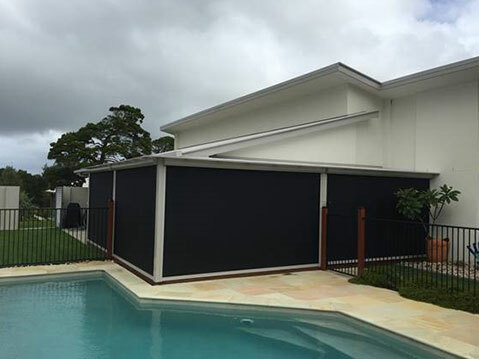 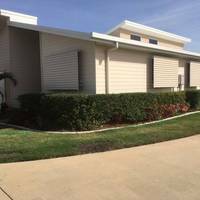 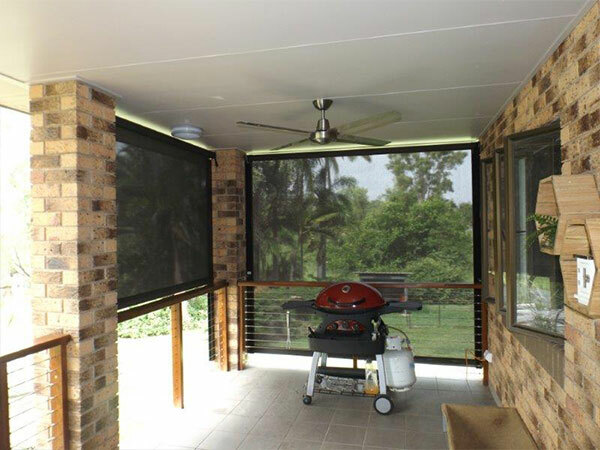 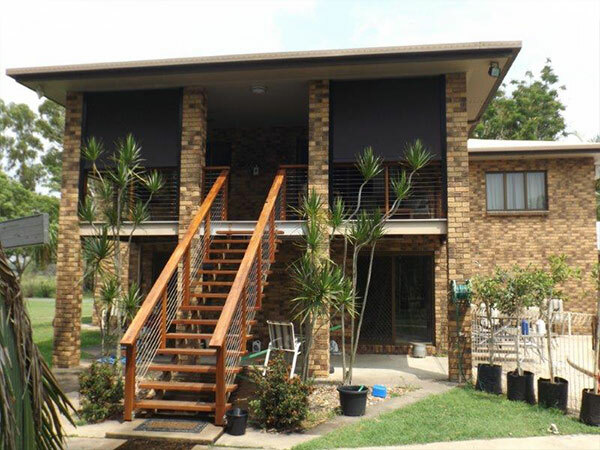 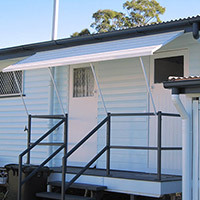 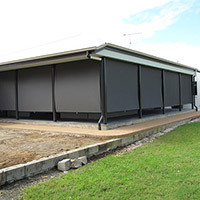 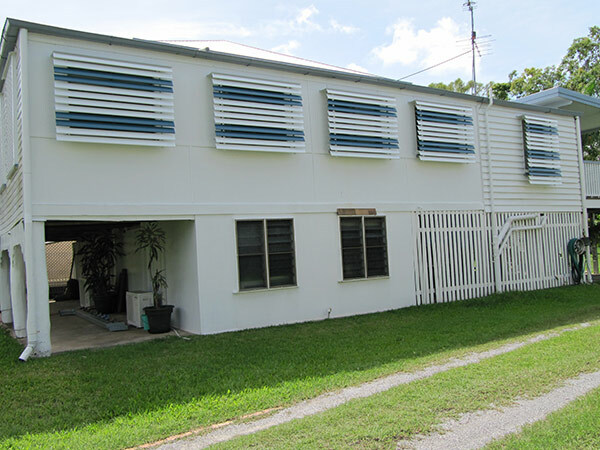 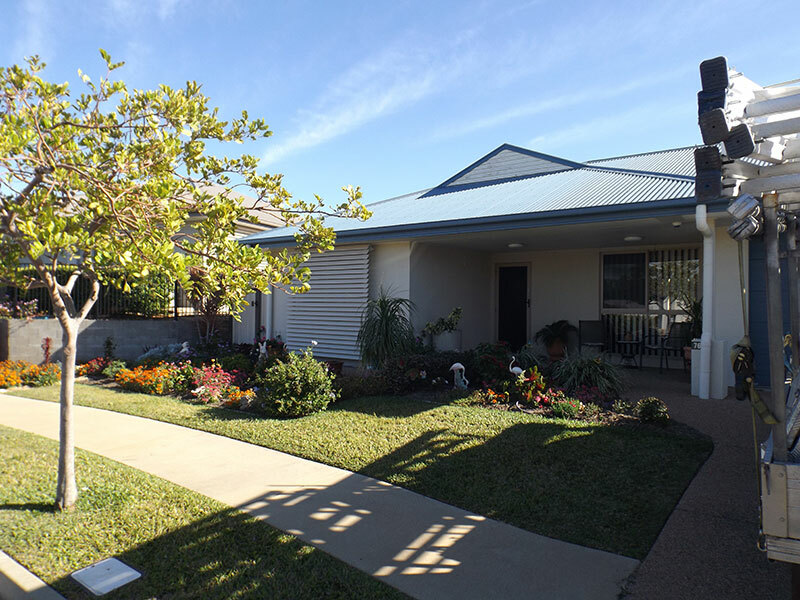 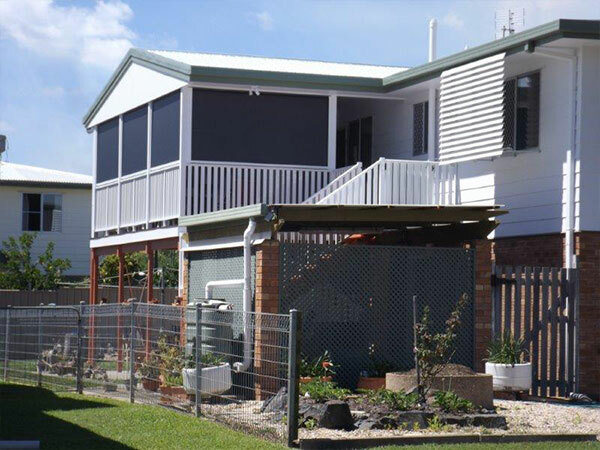 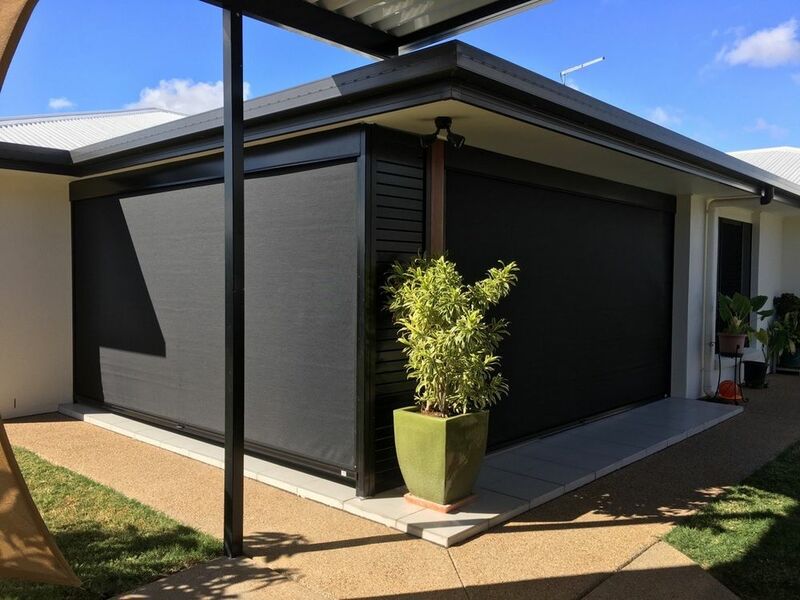 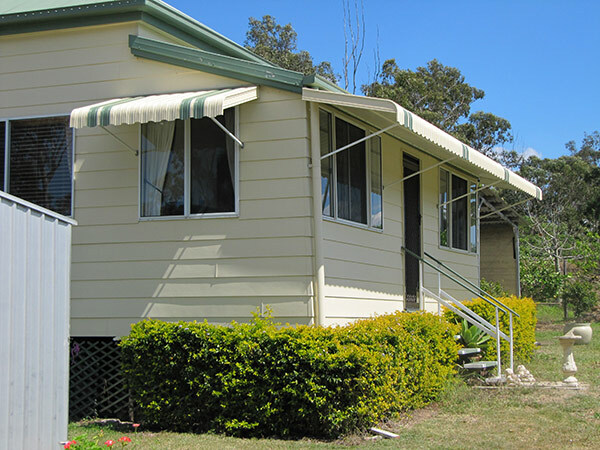 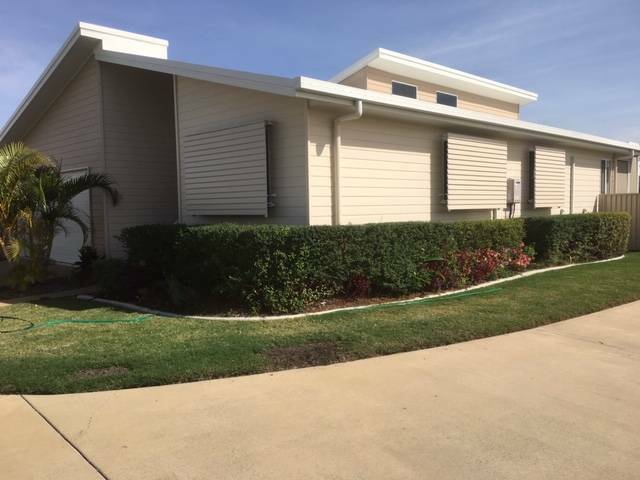 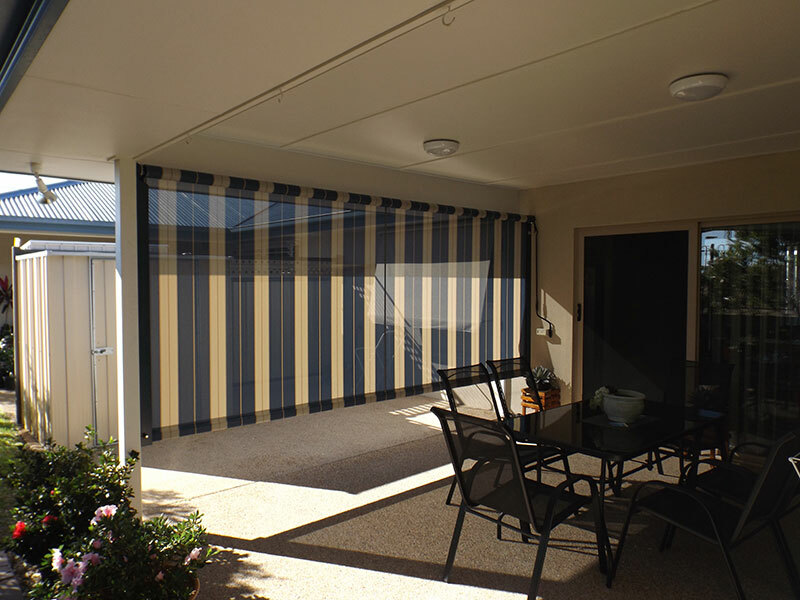 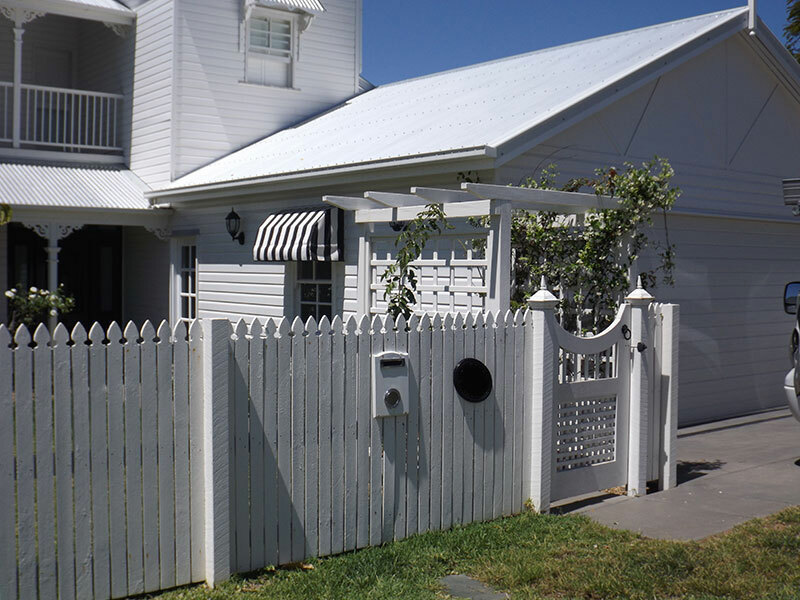 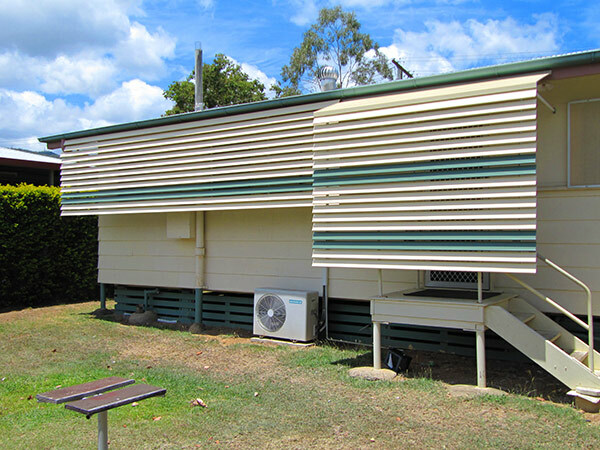 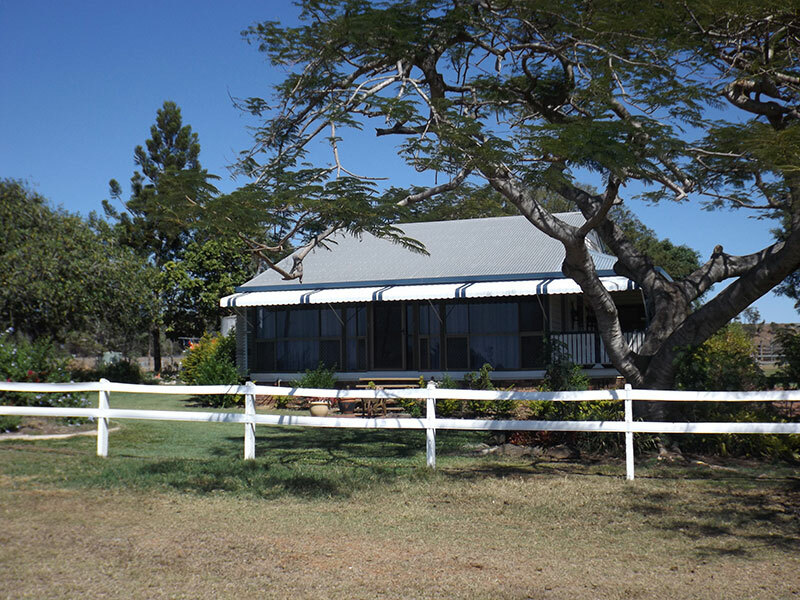 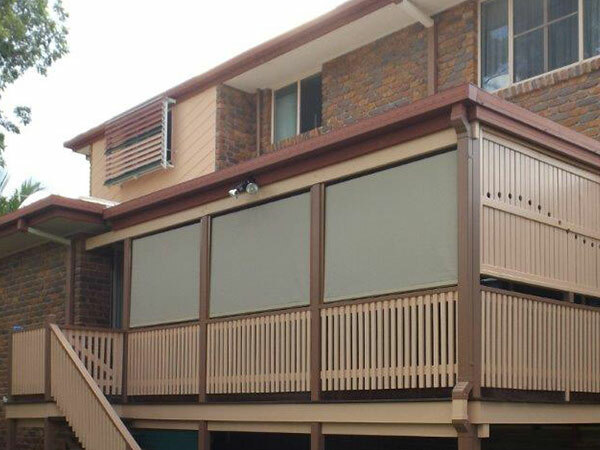 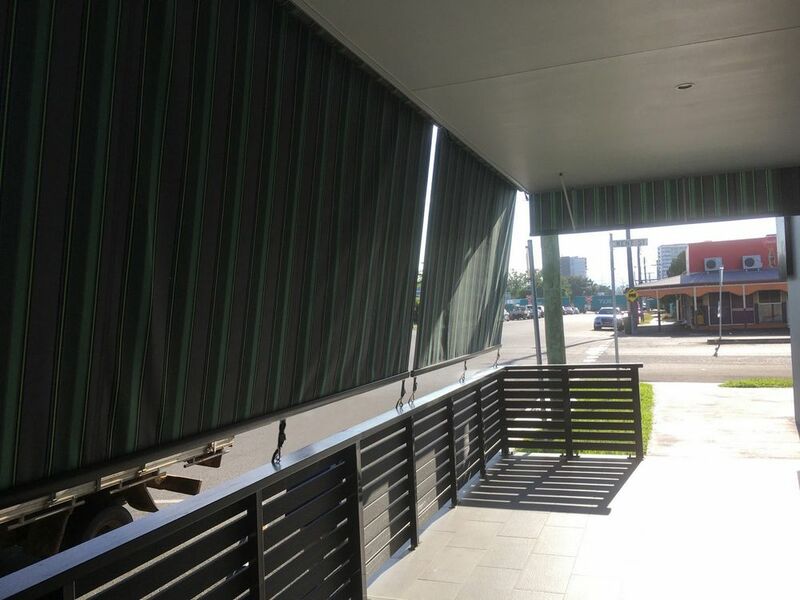 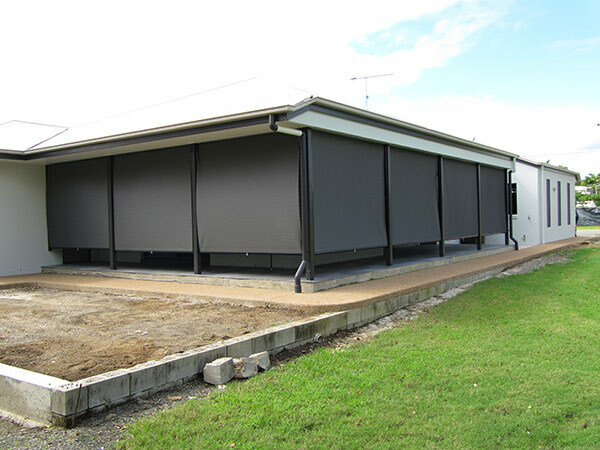 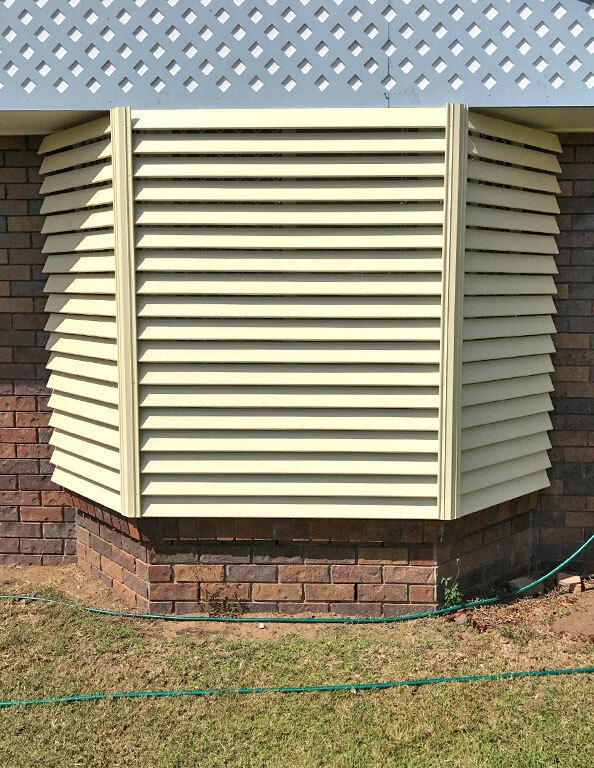 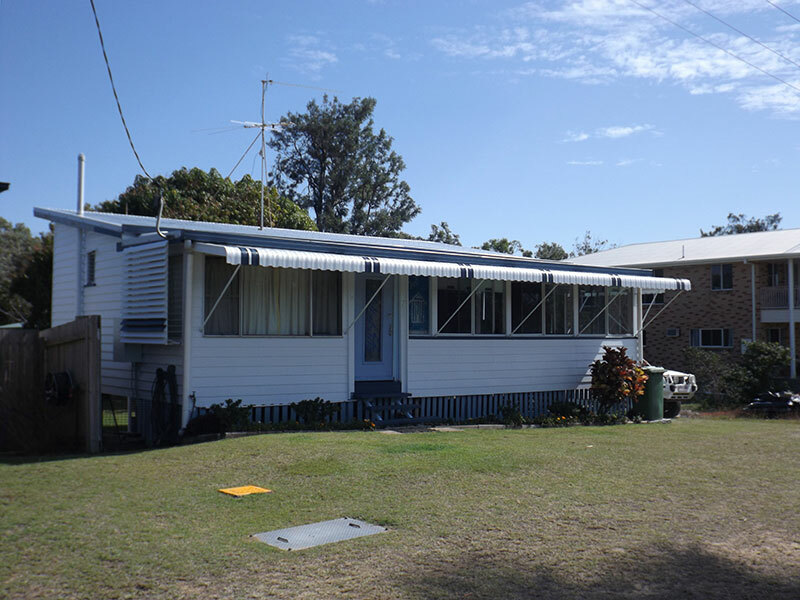 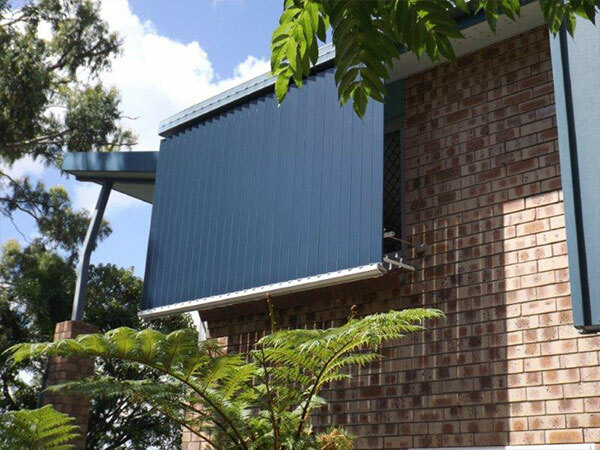 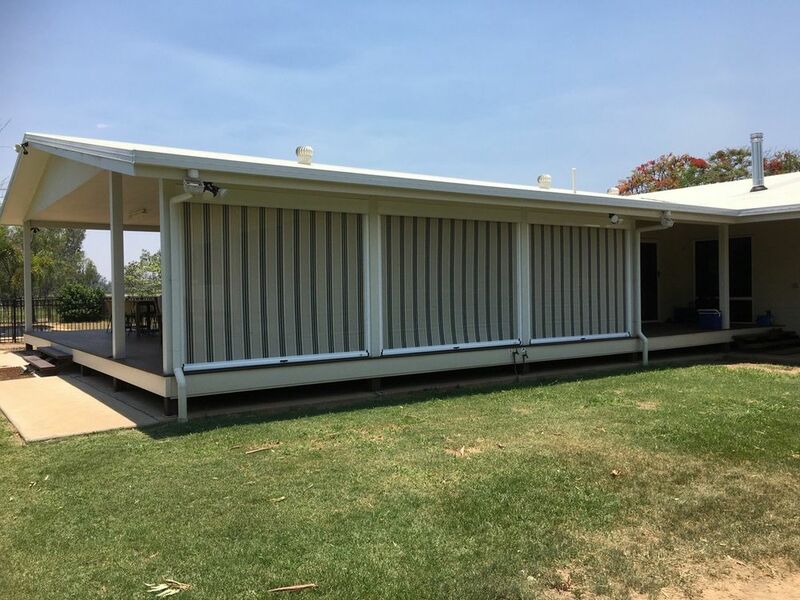 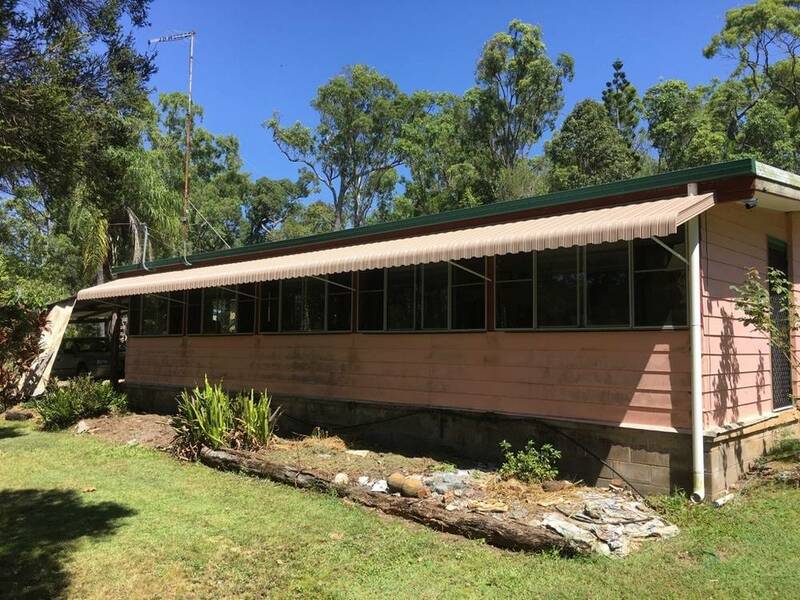 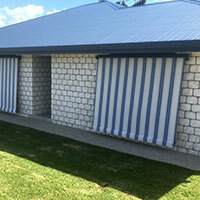 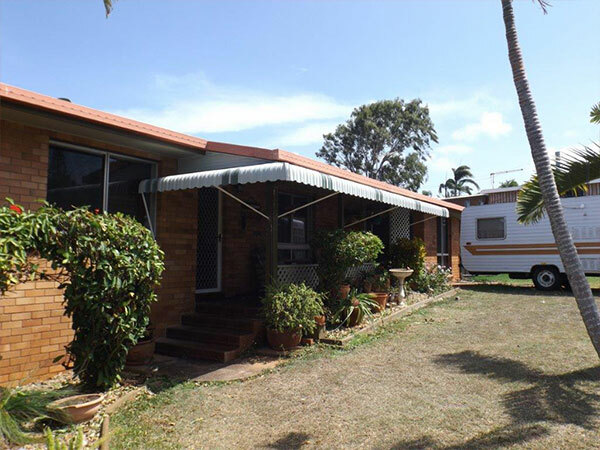 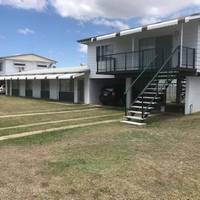 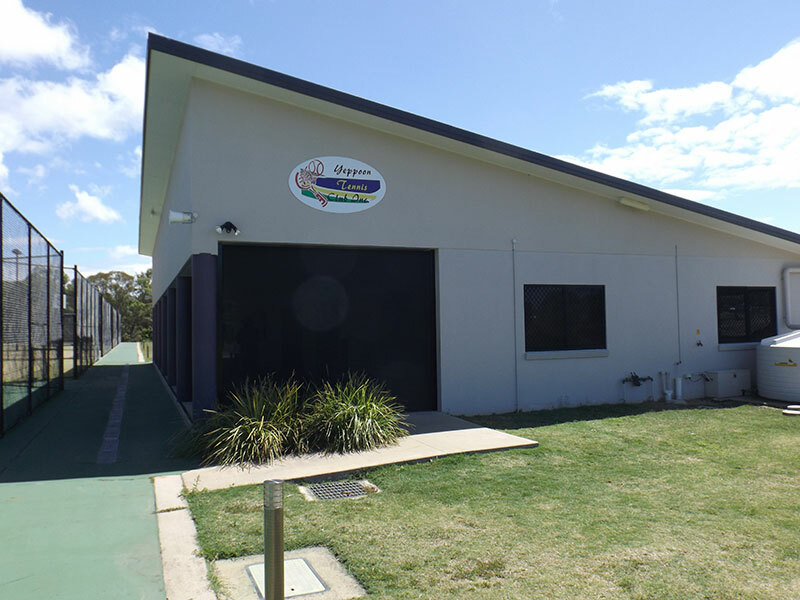 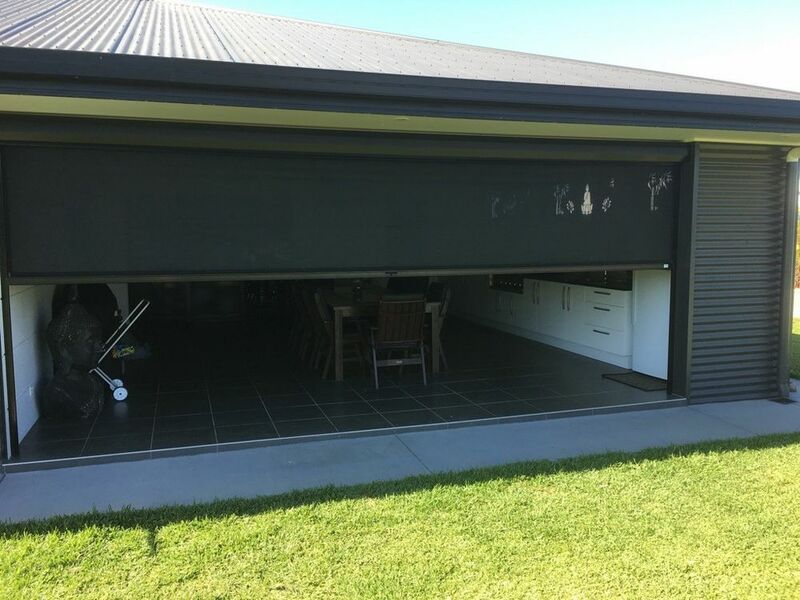 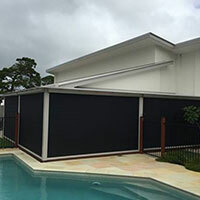 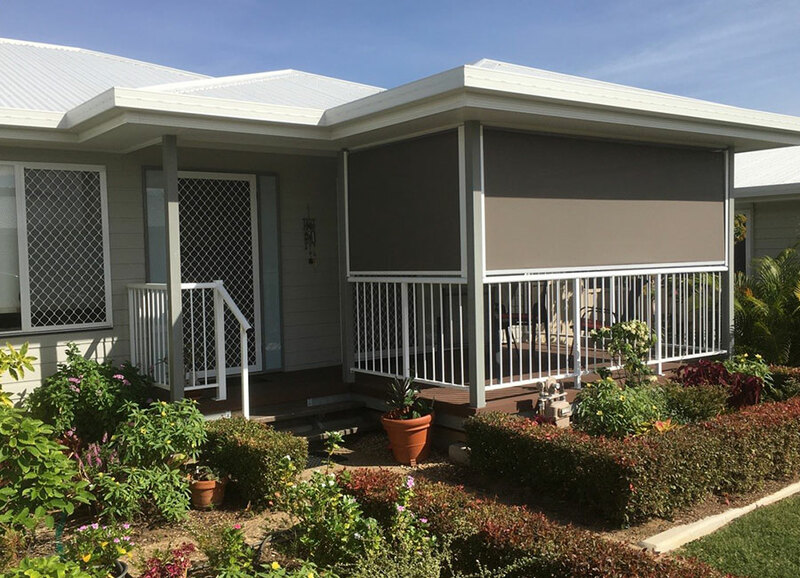 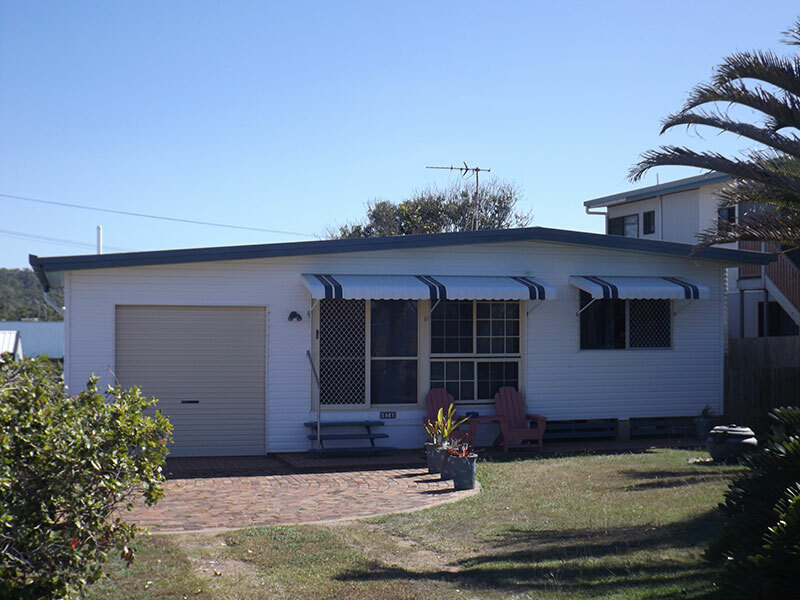 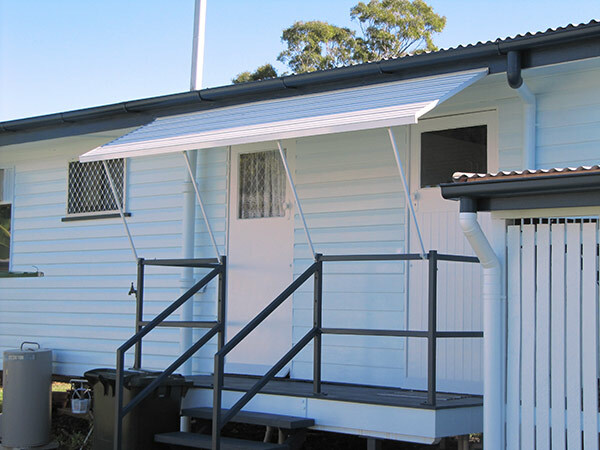 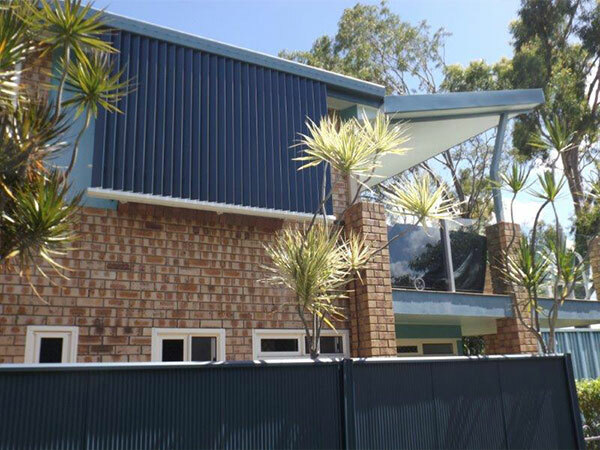 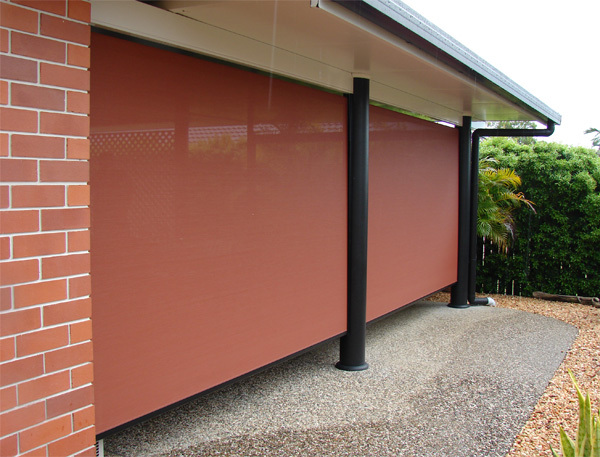 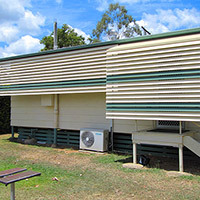 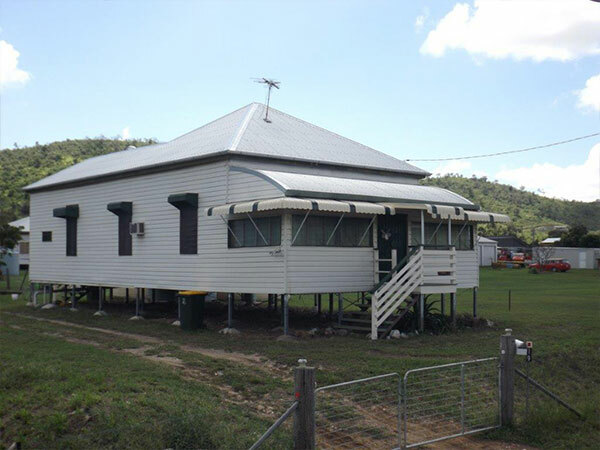 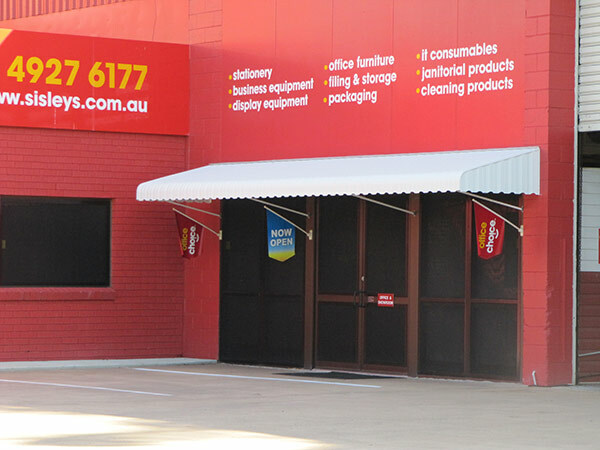 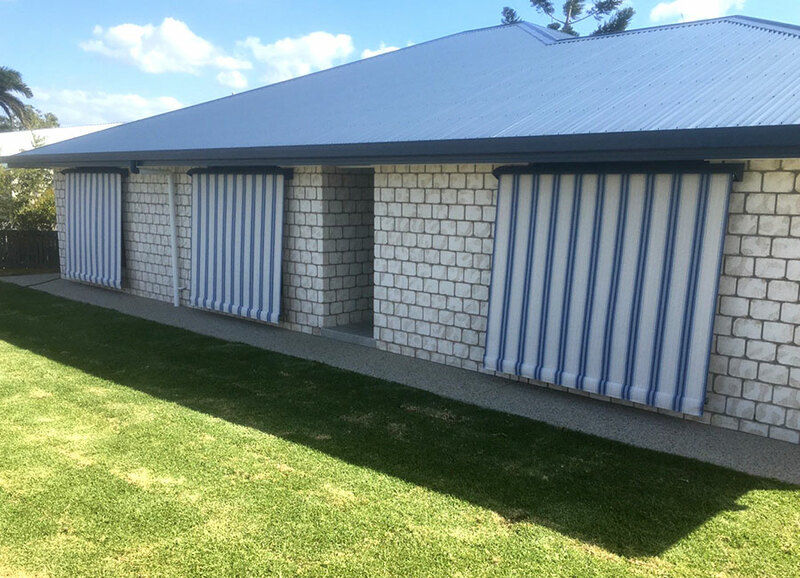 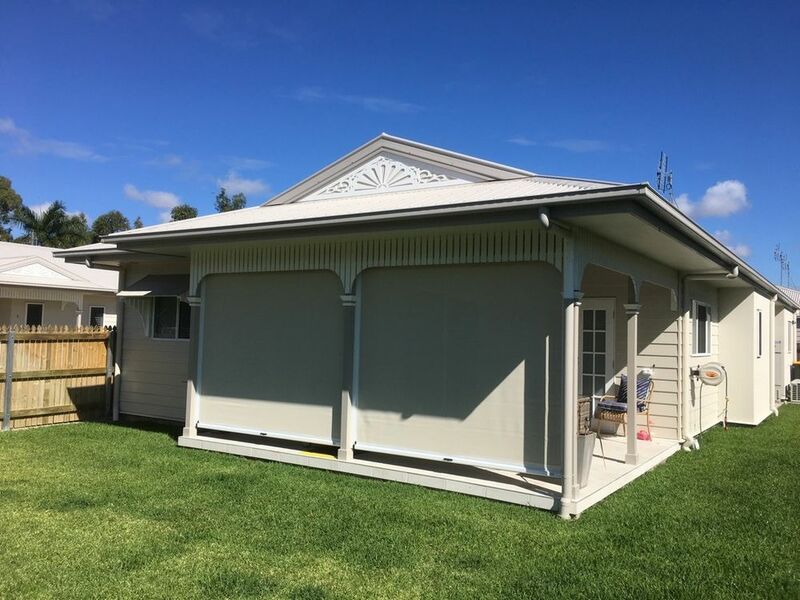 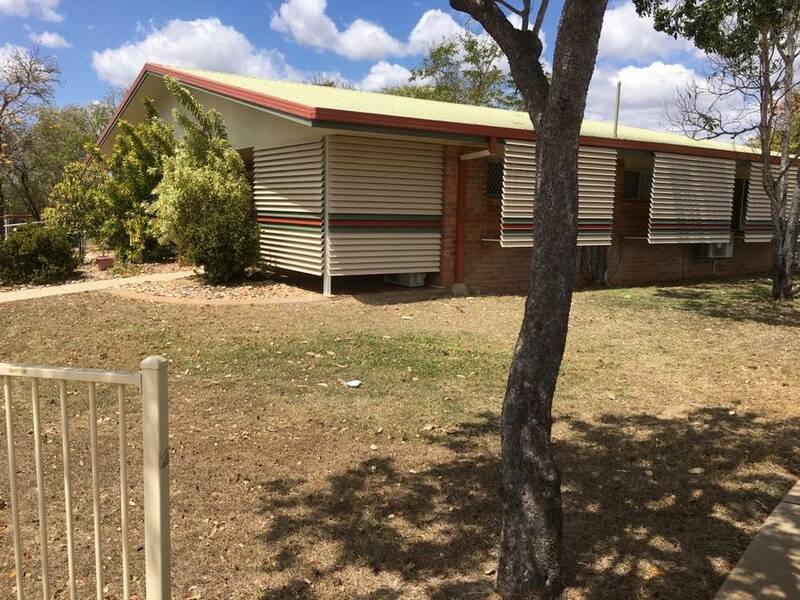 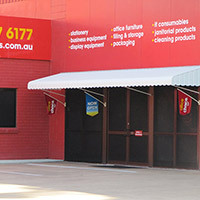 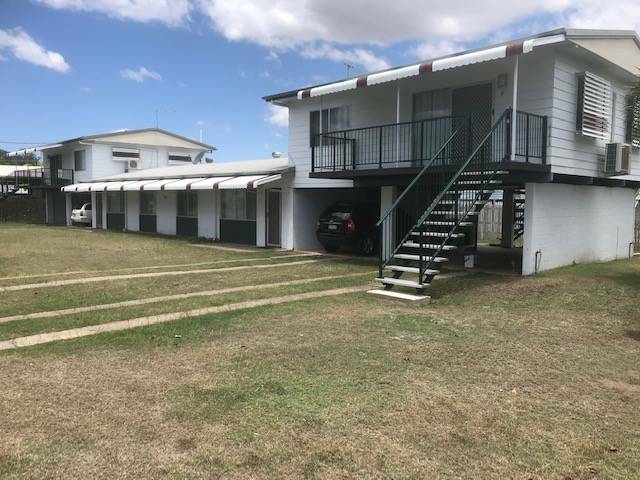 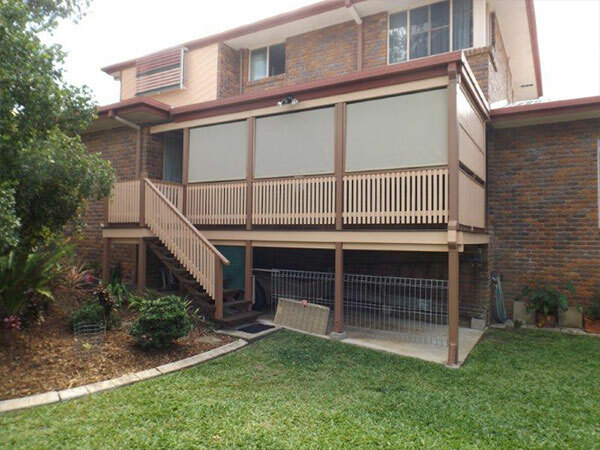 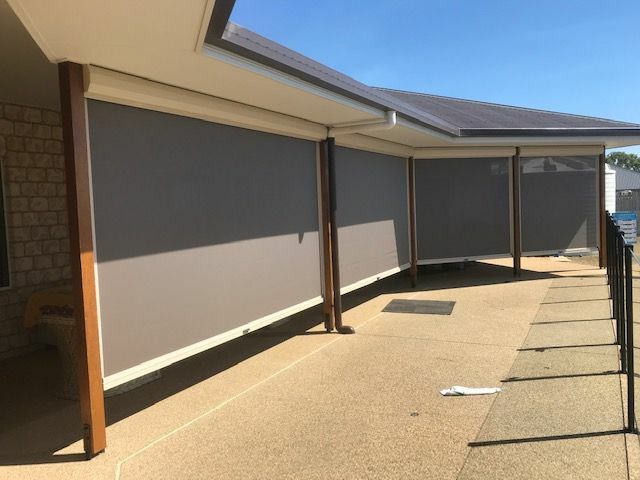 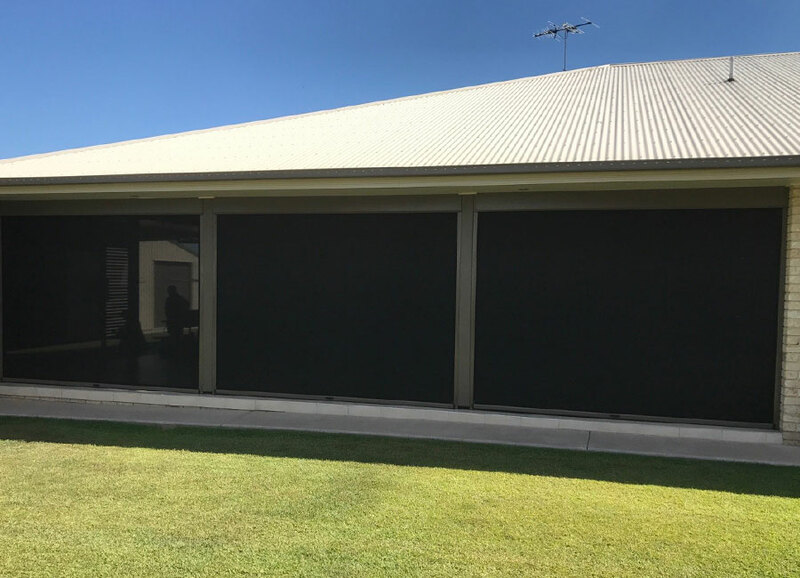 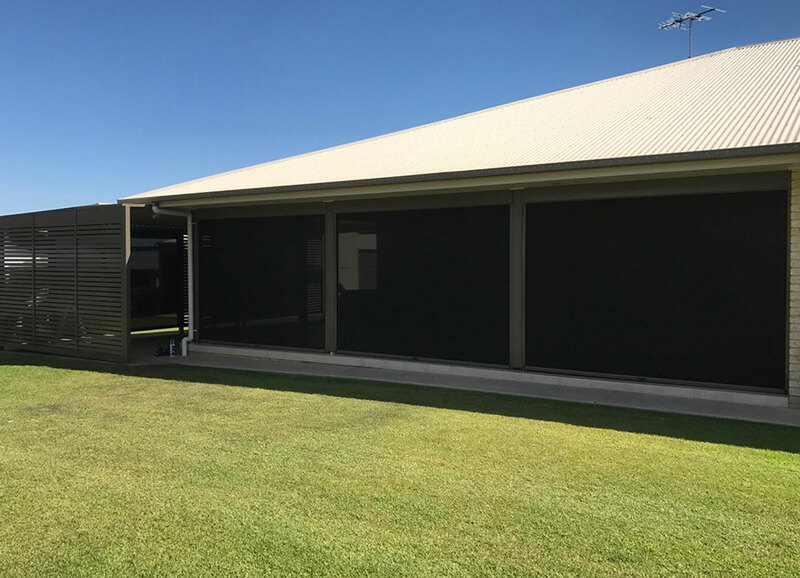 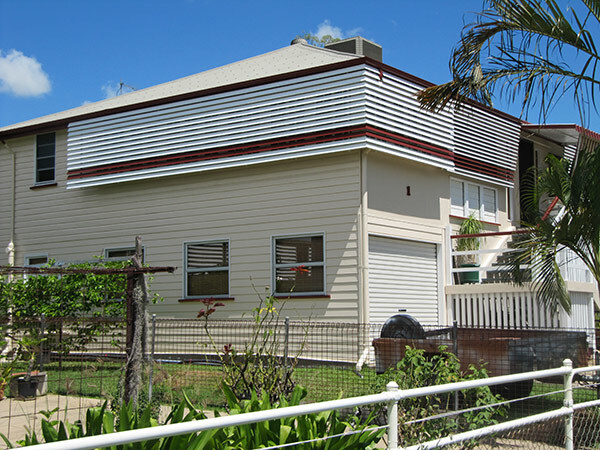 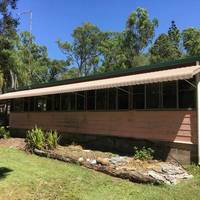 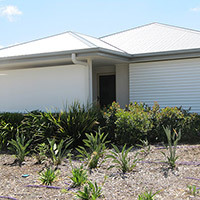 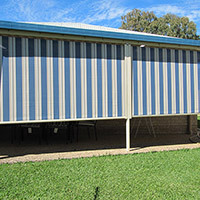 S & N Manufacturing Rockhampton offers a wide range of external Aluminium and Fabric Awnings to shield you from undesirable climate conditions. 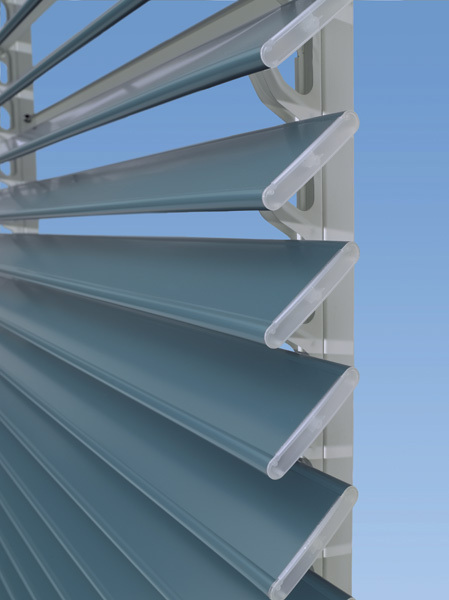 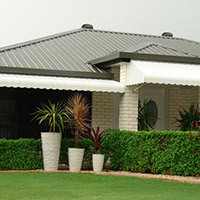 Aluminium Awnings are available in a large range of colours and styles to suit any area outside your home or office. 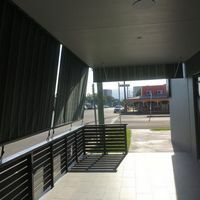 Effective external protection of windows from all the elements, whilst still allowing light and breeze to enter the building. 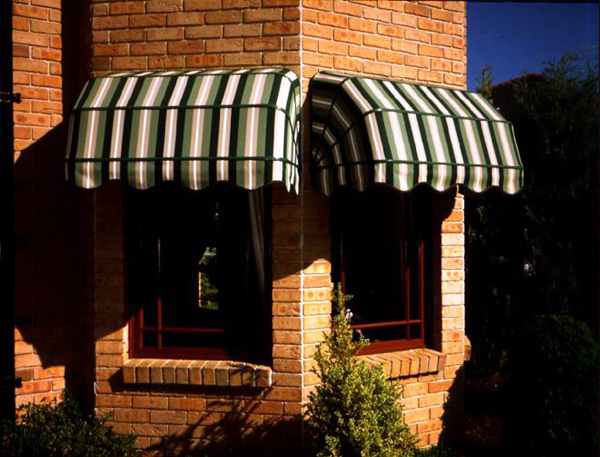 Whichever you choose in our extensive Aluminium Awning range ,along with Gary's expert knowledge, you will be guaranteed an awning to suit your needs. 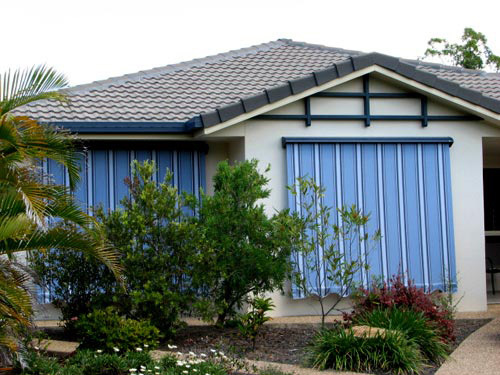 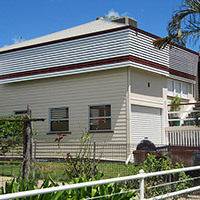 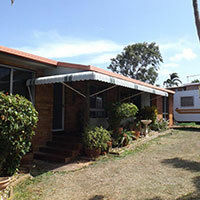 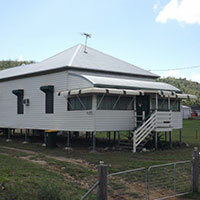 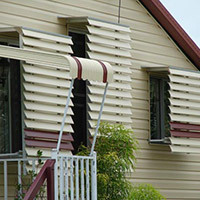 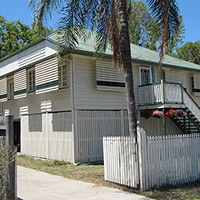 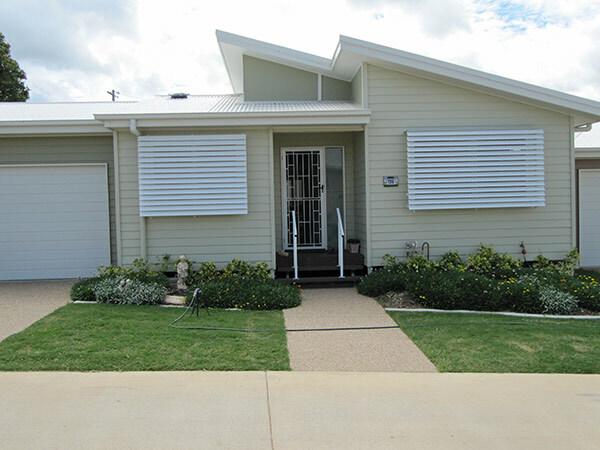 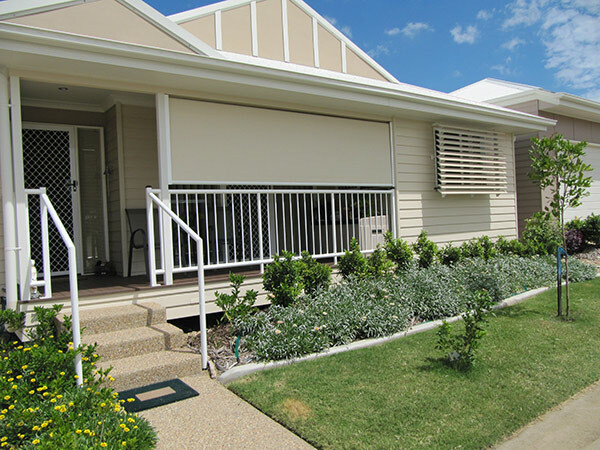 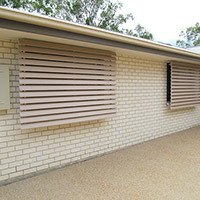 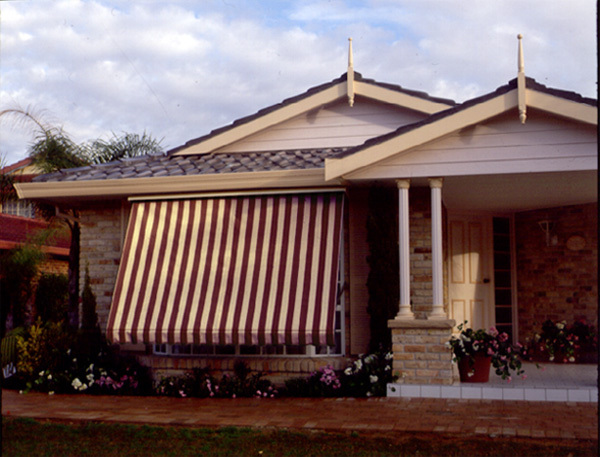 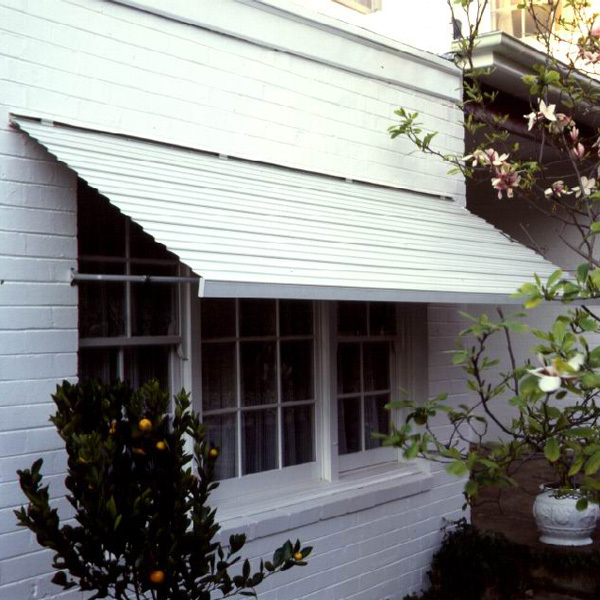 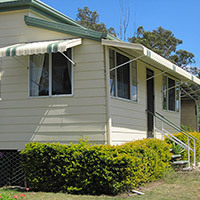 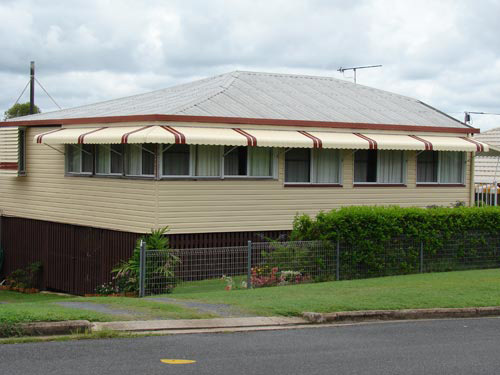 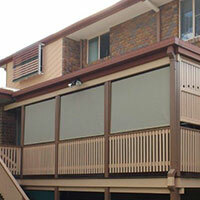 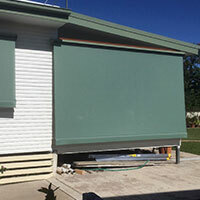 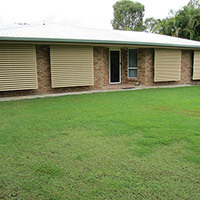 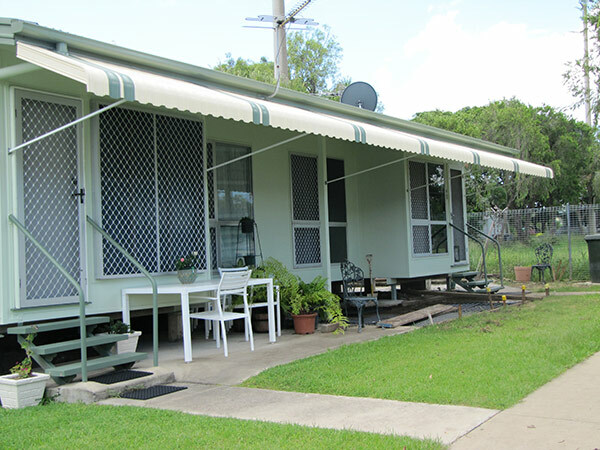 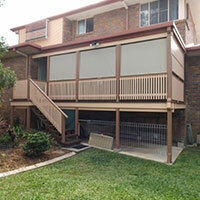 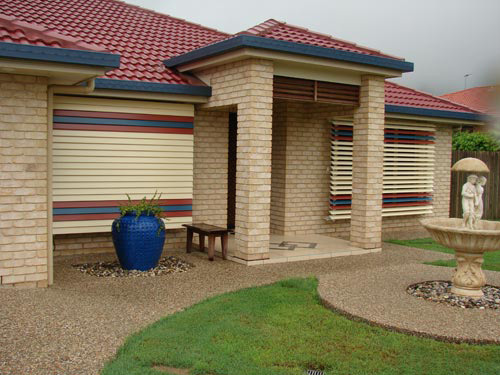 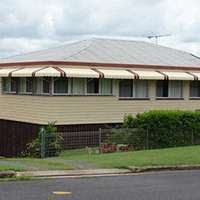 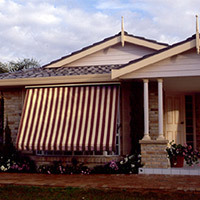 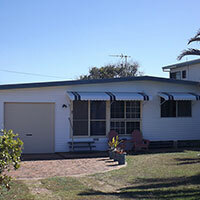 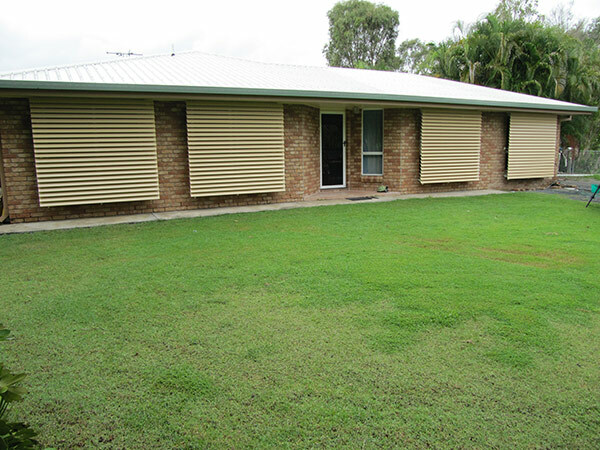 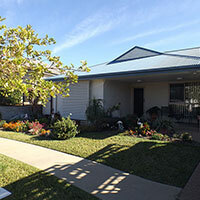 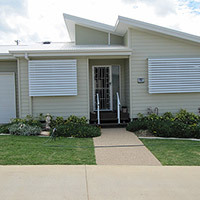 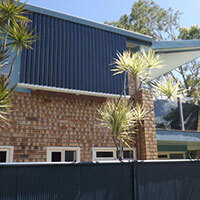 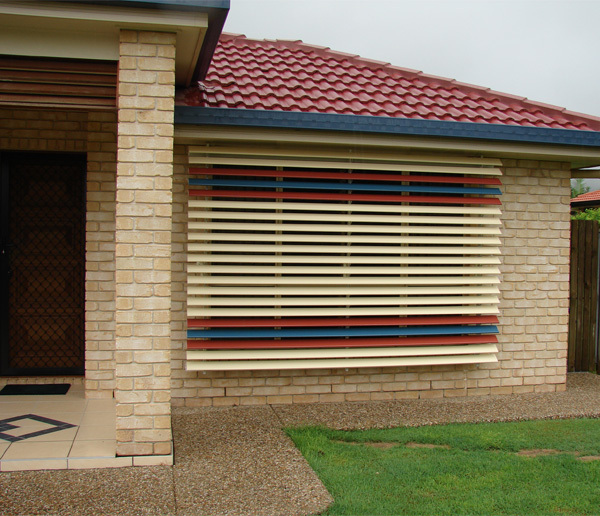 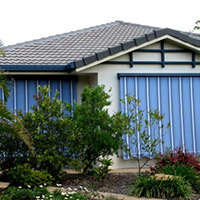 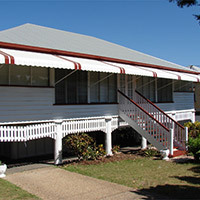 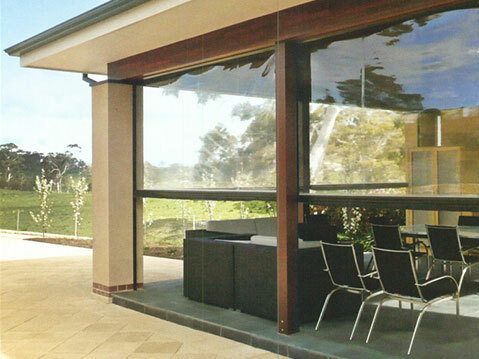 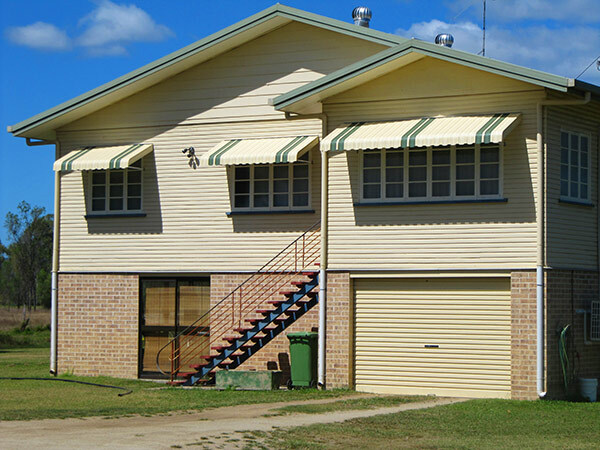 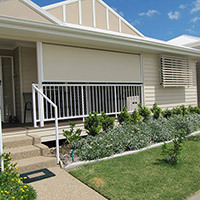 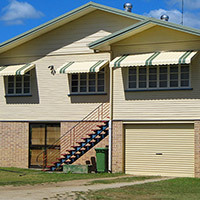 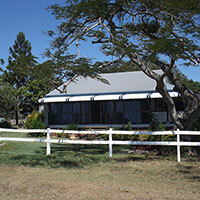 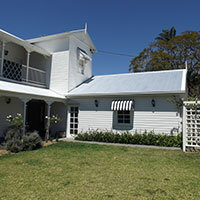 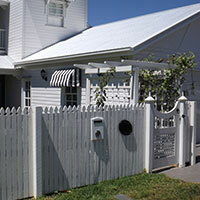 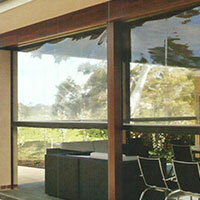 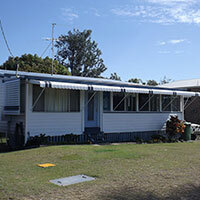 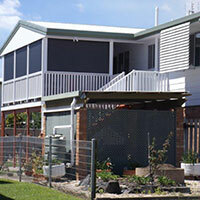 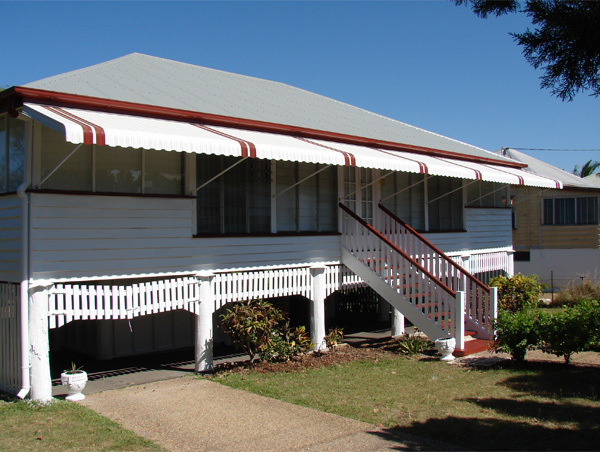 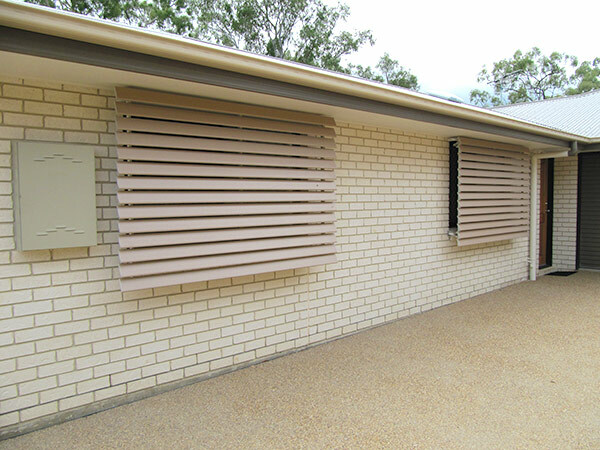 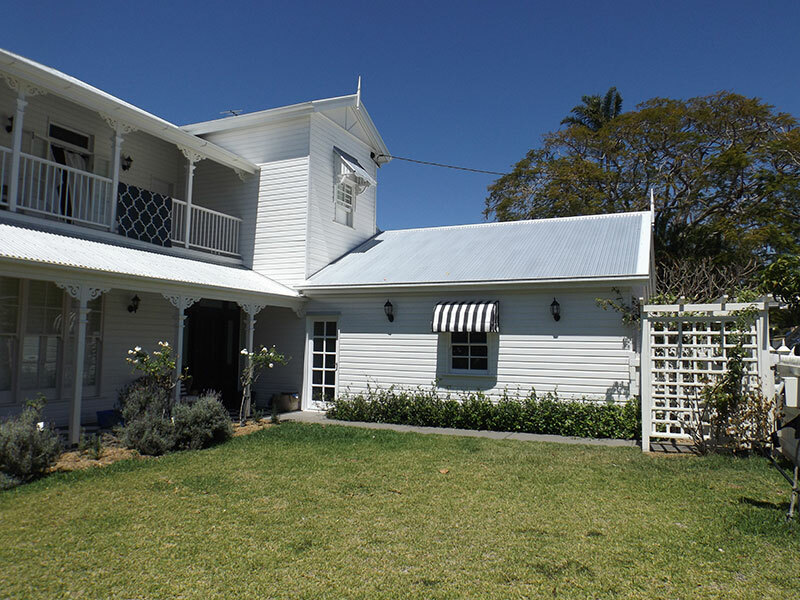 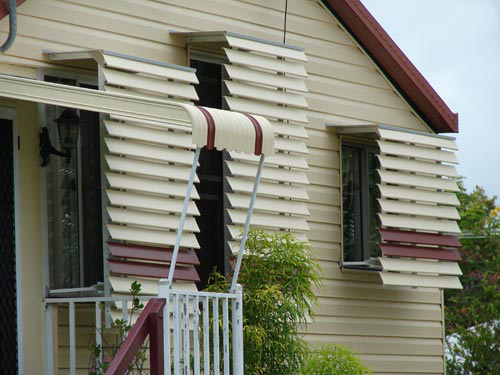 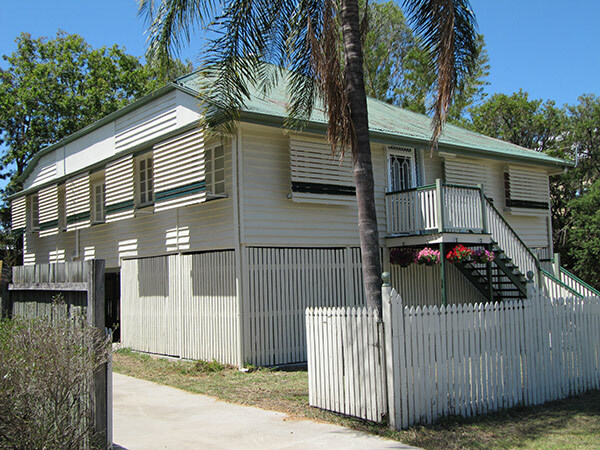 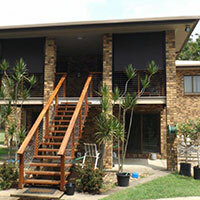 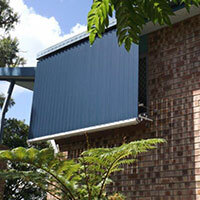 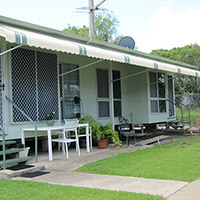 Fabric Awnings are a wonderful solution to revitalising the look of your home. 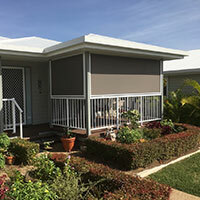 Fabrics are available in countless colours and styles including canvas (total block-out) acrylic and light filtering shadeview fabrics in plains and strips. 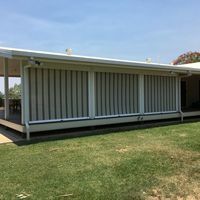 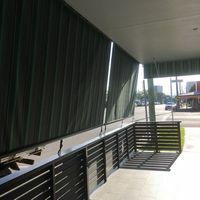 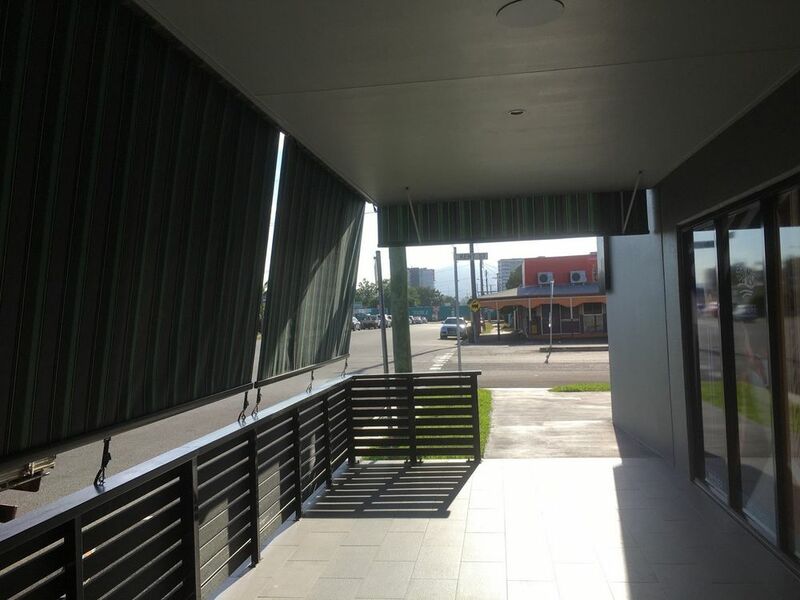 Awnings allow windows to remain open, allowing light and air to continually flow through the room, but at the same time retaining total privacy at all times, from the outside. 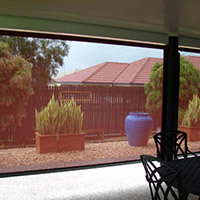 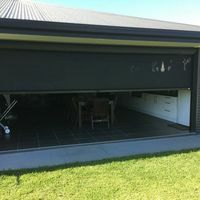 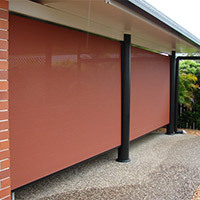 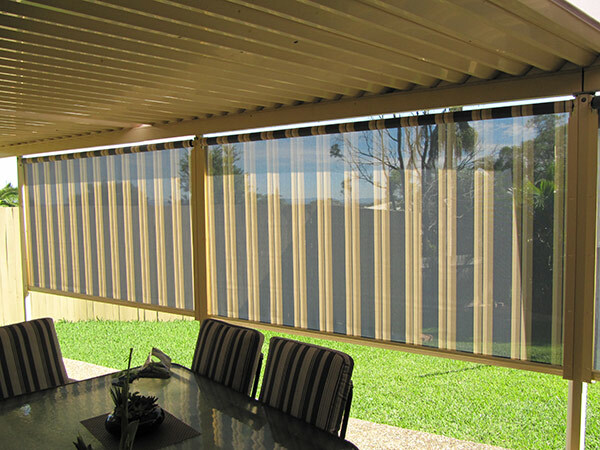 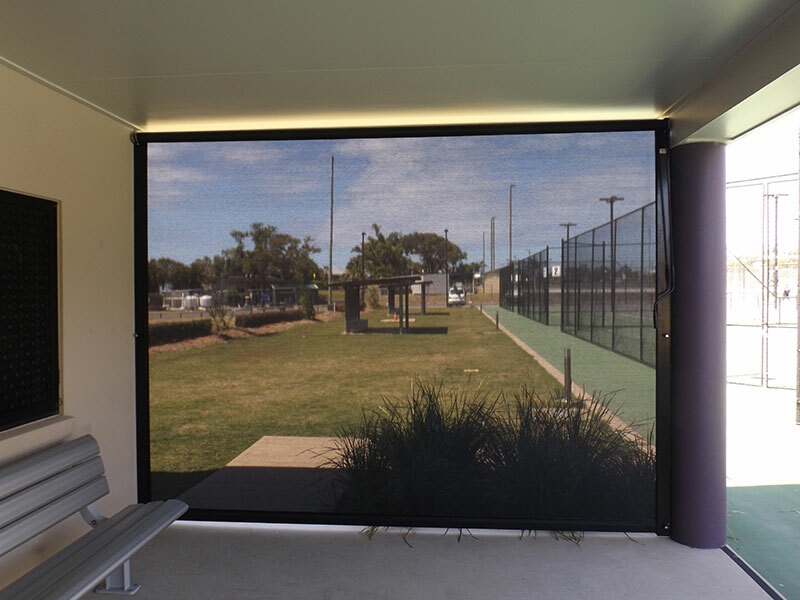 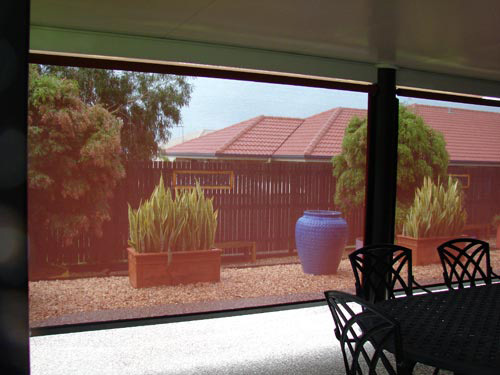 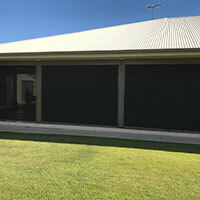 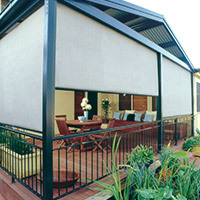 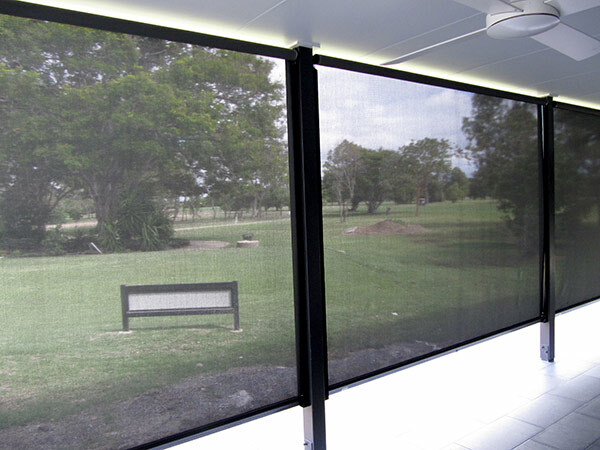 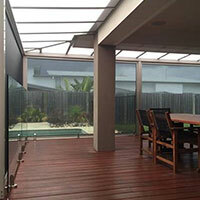 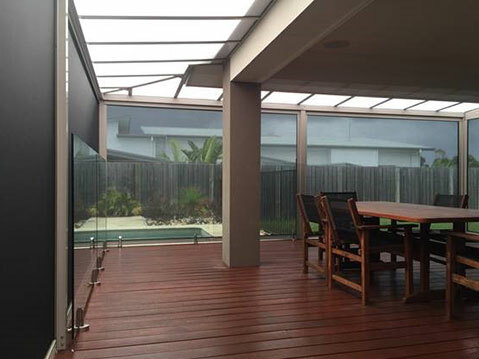 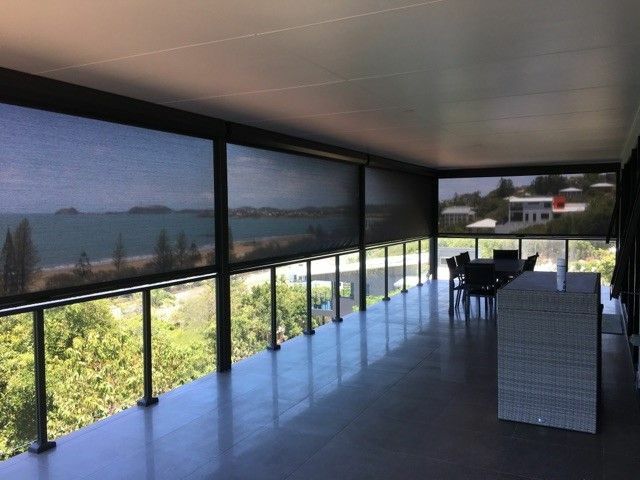 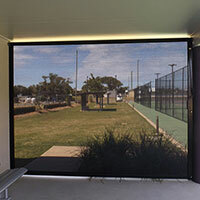 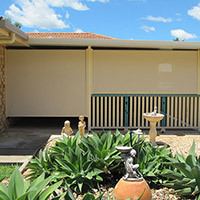 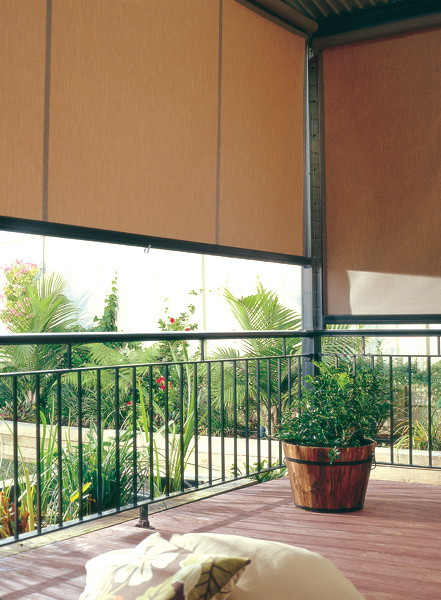 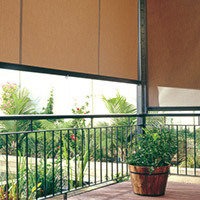 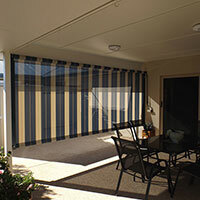 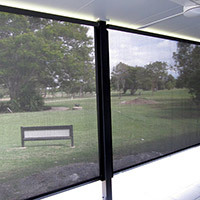 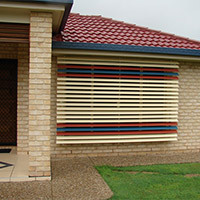 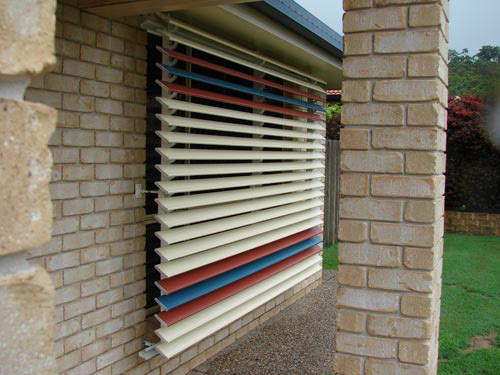 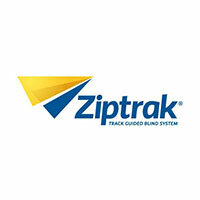 Ziptrak blinds connect your indoor and outdoor enviroments into one harmonious space. 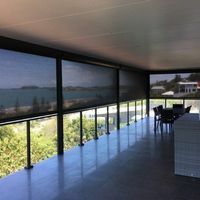 Ziptrak outdoor blinds instantly create a brand new space in your home, ready to entertain family and friends at a moment's notice. 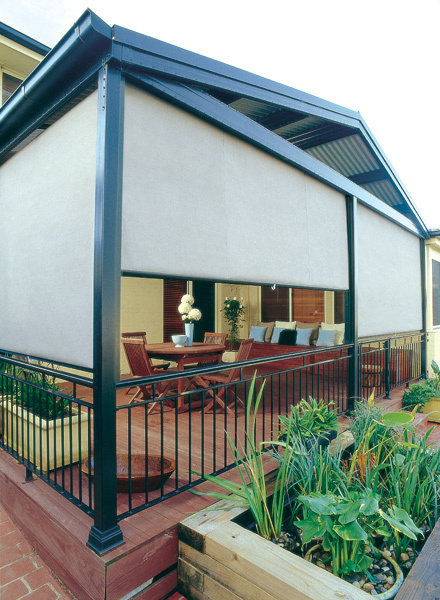 Protected from the elements all year-round and with a sense of seclusion and sanctuary, you'll spend time enjoying life outdoors. 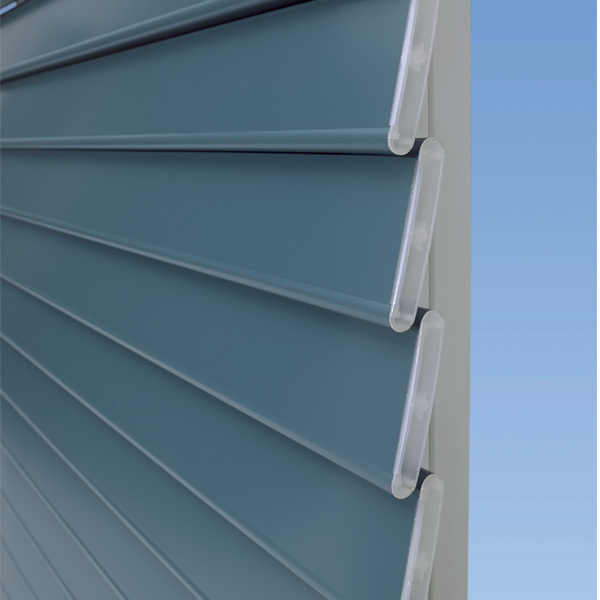 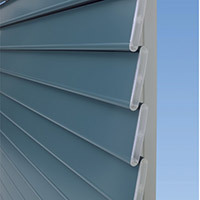 With a discreet track profile and colour options to match or compliment your existing space. 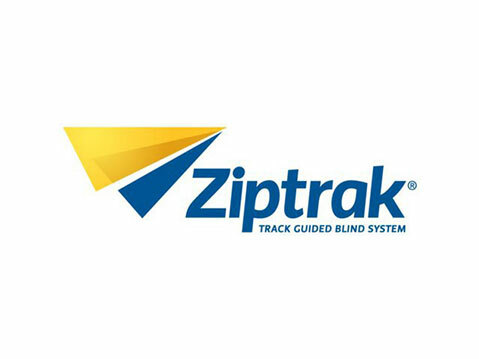 Ziptrak blind offer superior functionality without compromising your style. 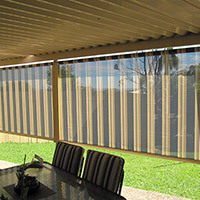 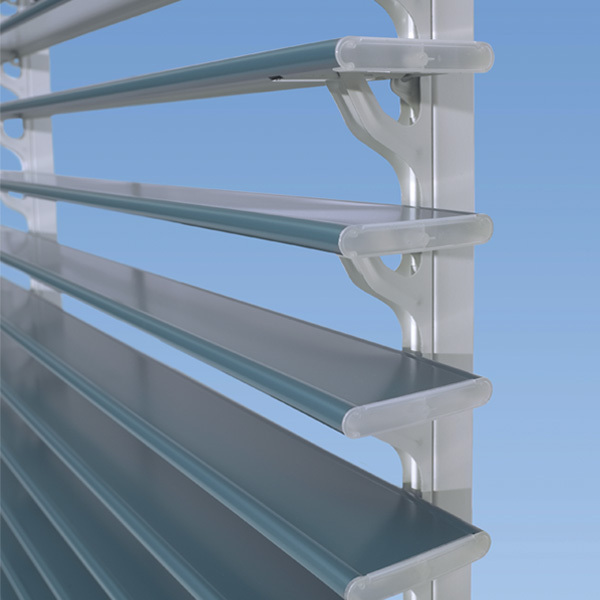 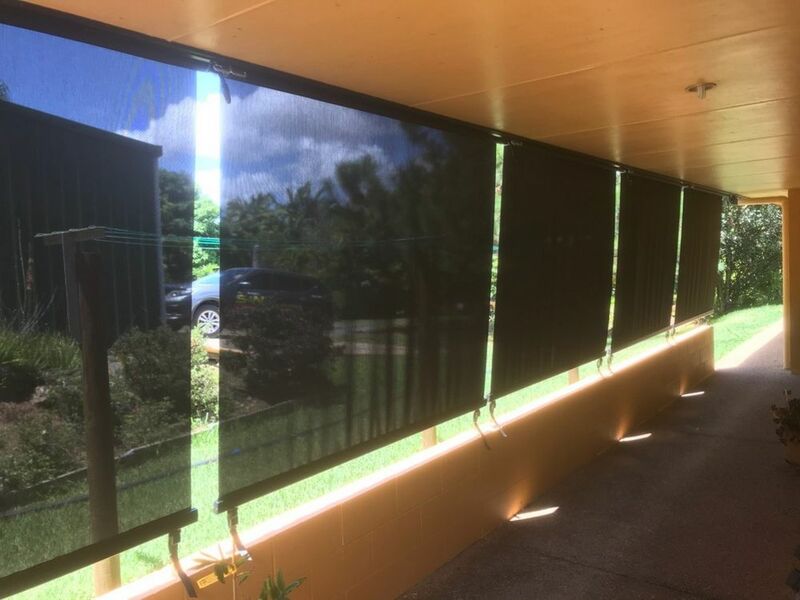 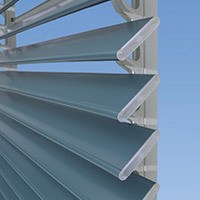 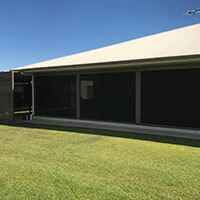 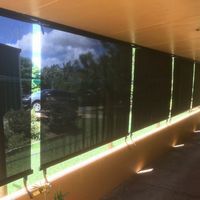 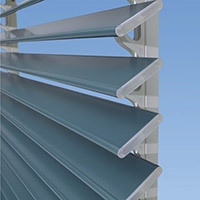 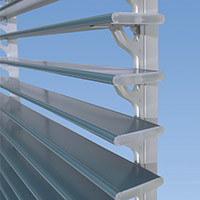 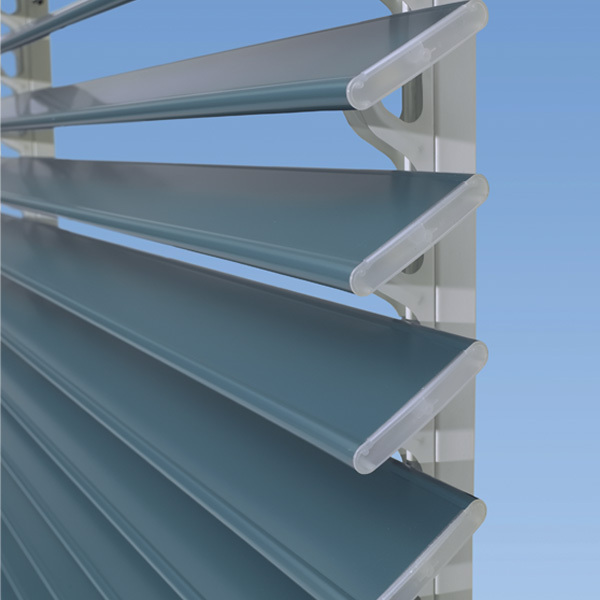 Ziptrak blinds allow you to control airflow, light and temperature whilst remaining connected with nature. 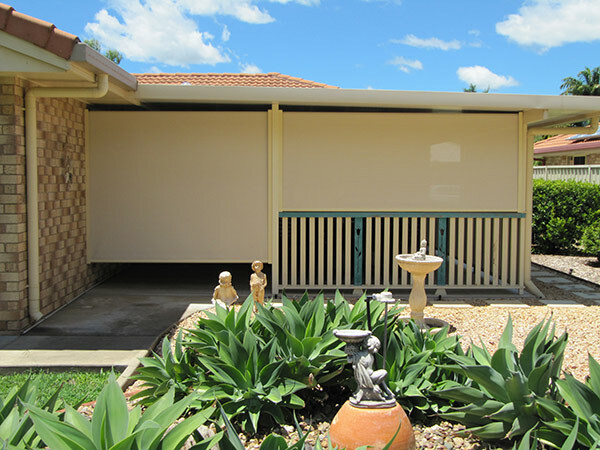 Relax and indulge in your own private retreat. 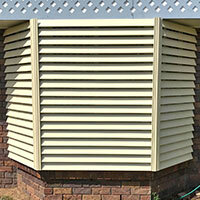 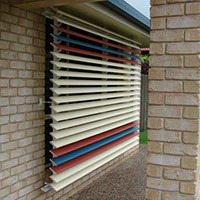 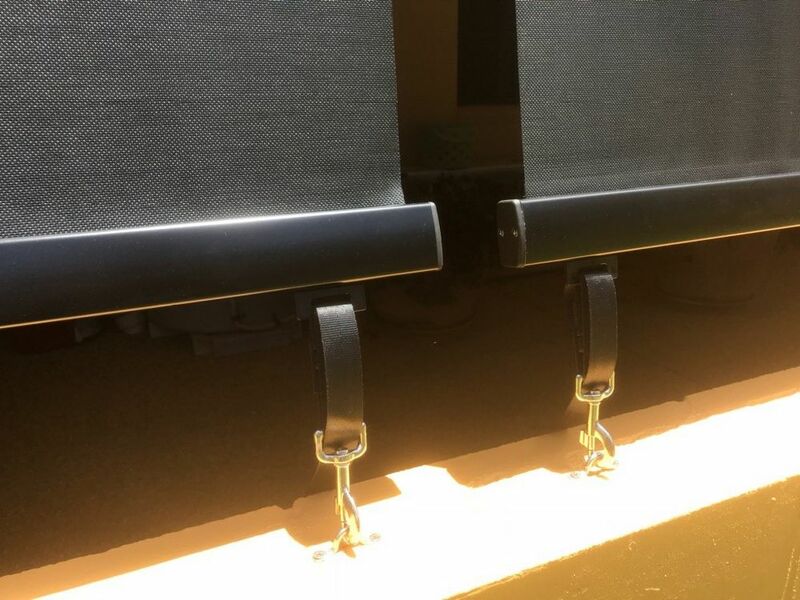 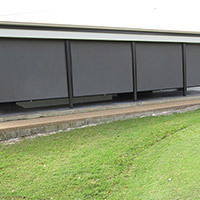 The blind can be left at any height or locked at the lowest position. 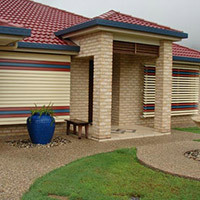 Unlock and operate from the centre with one easy movement. 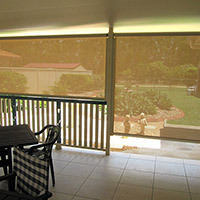 The blind material is available in a wide range of colours. 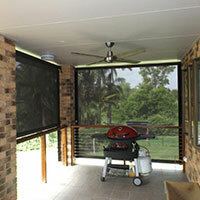 Control the elements, but maintain your view. 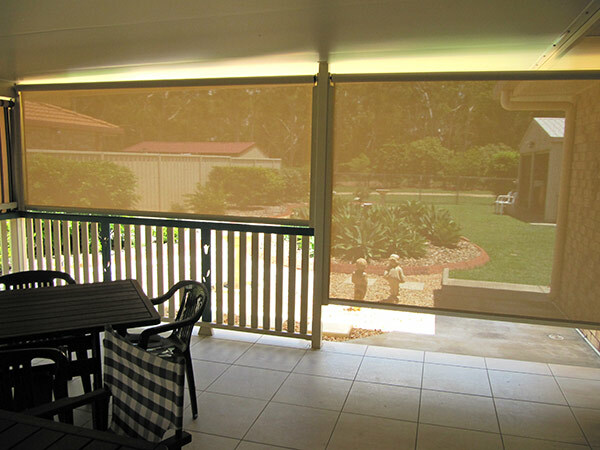 Completely solar powered motor operation of Sunscreen blind. 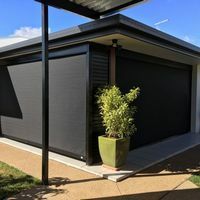 Includes a remote and does not require hand wiring to home power. 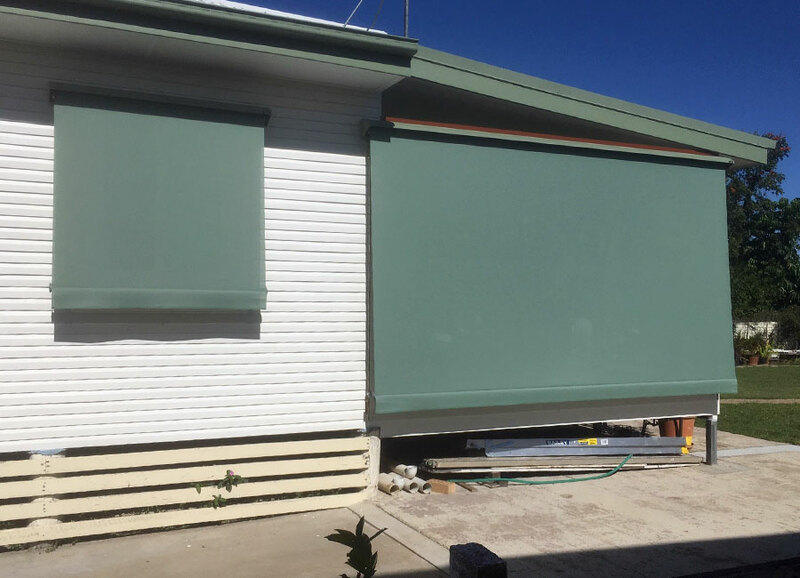 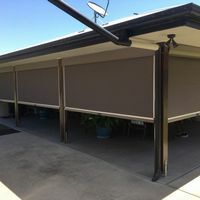 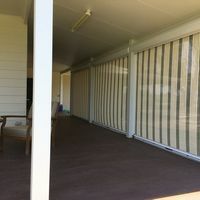 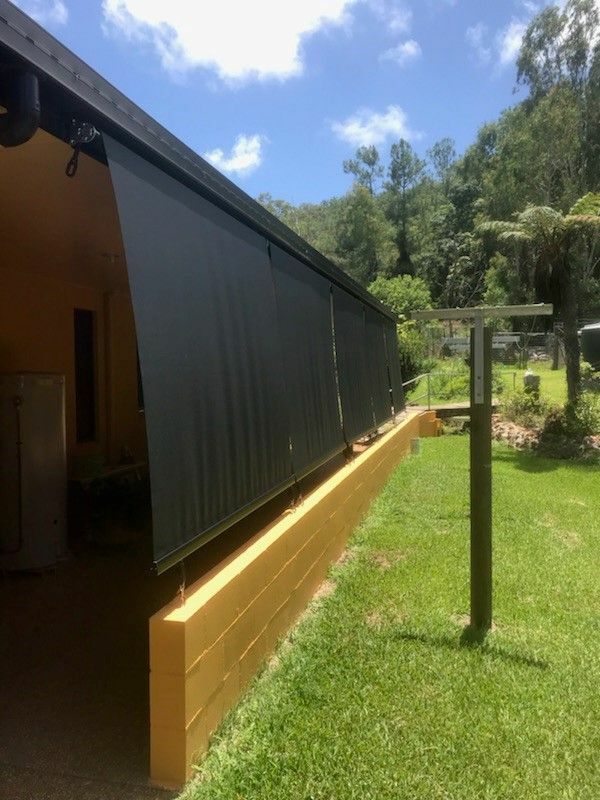 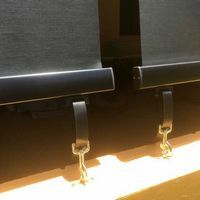 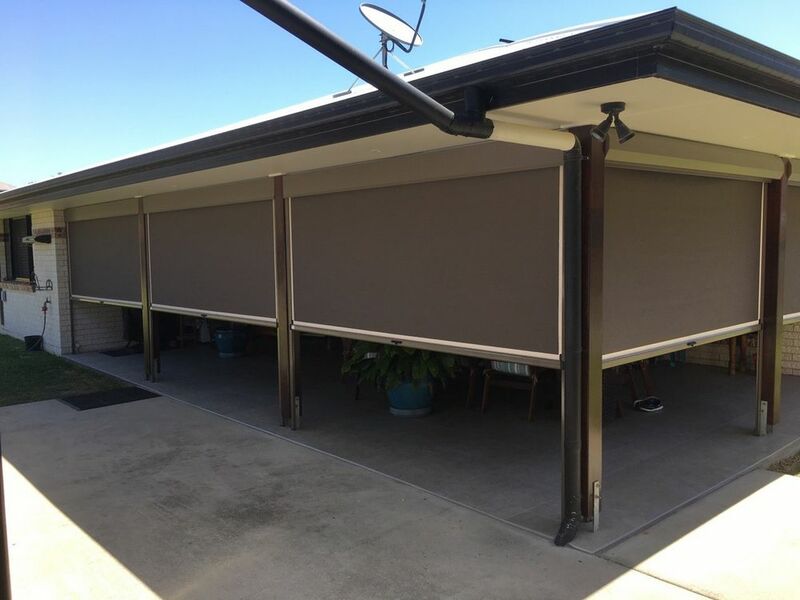 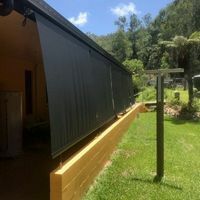 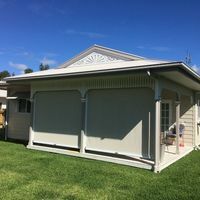 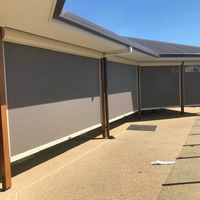 Channel Roll-up Awnings are one of our most popular products and are used for blocking the sun on patios, verandahs and outdoor entertaining areas therefore making the area usable for the whole day not only early morning and after sunset. 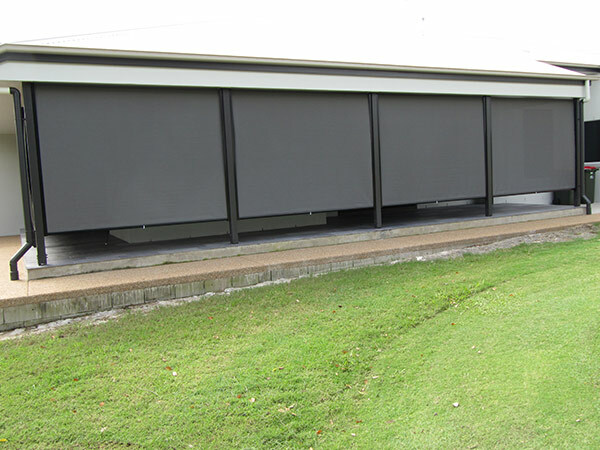 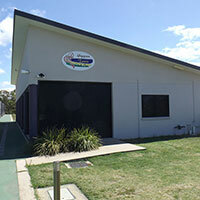 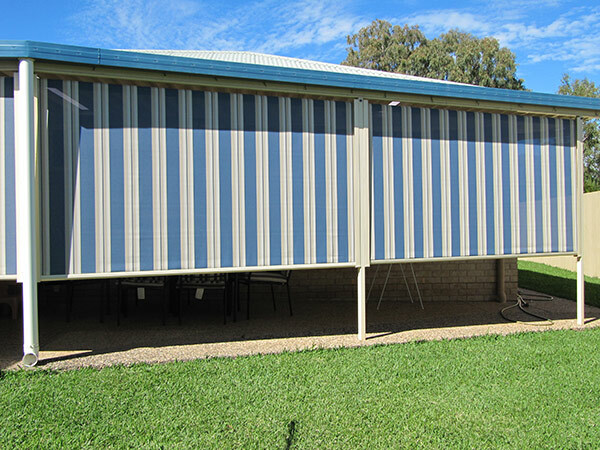 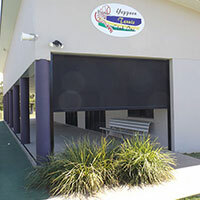 When not in use Channel Roll-up Awnings can be simply rolled up neatly out of the way. 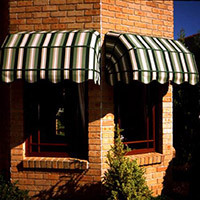 Canopy Awnings add a decorator touch to your home and at the same time protecting windows, doors and entranceways. 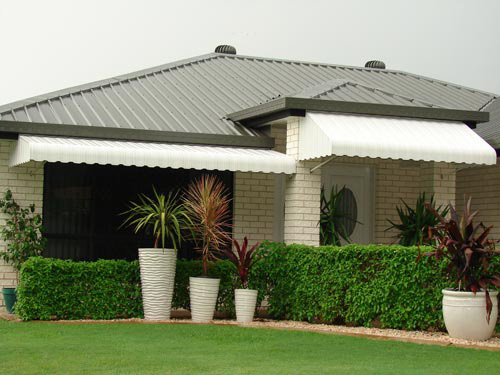 Constructed with a strong corrosion resistant under structure Canopy Awnings give a unique look to your home.